Enjoy free Fall clip art to use for scrapbook projects. Clipart is a great way to add embellishments to your scrapbook layouts. Print on photo safe paper. Then, cut the images out and add them to your layouts. Autumn clip art can be created using free photo software. Personally, I enjoy using Canva to create quick and easy pages. I can easily change the colors in different ways. Set one includes darker red apples. 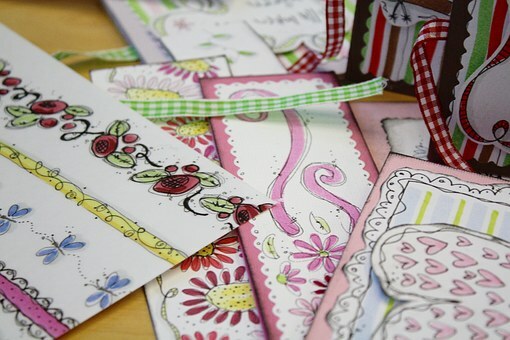 These can be used in a variety of layouts for scrapbooks, card creation, gift tags, and more. Set two includes brighter apples. If the color of your layout design for scrapbook pages is bright, this will fit more nicely. Did someone say they love green apples? Set three provides your favorite bright green apples! For scrappers who enjoy adding yellow apples to their layouts, enjoy! This set of free autumn apples clip art will fit nearly any Fall scrapbook design! What can you use Free Autumn Apples Clip Art for? Add to dinner layouts with apple pie. Include different color apples surrounding pics of visiting the apple orchard. If your children love to eat apples, include these on a page of your children enjoying the deliciousness of apples. Creating a layout for school projects? Apples go great with a school themed scrapbook. Create thank you cards for teachers using apples. Make apple placemats for Thanksgiving time. Design apple tags for special Autumn gift giving. Create apple stickers to use in crafting projects. Laminate free autumn apples clip art to use on children’s’ chore charts. There are so many things you can do with free autumn apples clip art! What are some of your ideas? Leave me a comment! I would love to hear from you!